“Green” is a hot topic and a major sales incentive in everything from organic food to hydrogen-powered automobiles to recycling product waste. One of the areas in which going green has made the biggest splash is the construction of new homes. With the current housing slump, we are all painfully aware that it takes more than the expected amenities for a community to sell a new home. Building green homes is an innovative approach to improve sales and offer more to the buyer. 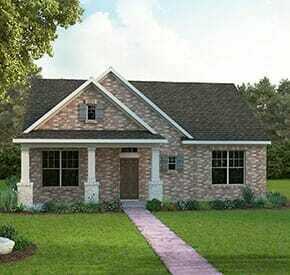 A number of forward-looking builders have begun constructing homes specifically to satisfy this trend. Energy-efficient homes have been around for a long time in one manner or another, but the state of affairs in today’s market has encouraged some ground-breaking thinking. 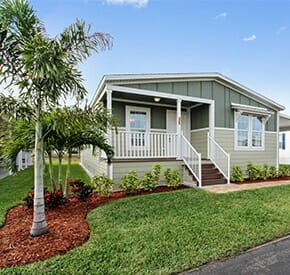 Many new communities are offering green homes in varying levels of efficiency, from simple modifications all the way to zero net energy homes using every known method of conservation. What Are the Merits of a Green Home? At first look, green homes may seem technically advanced or complicated compared to the conventional homes we are used to. However, living green is the wave of the future and a solid bet for environmentally sensitive people. The merits of a green home are not limited to energy efficiency and the use of sustainable materials; they also include a surprising boost to the overall economy. 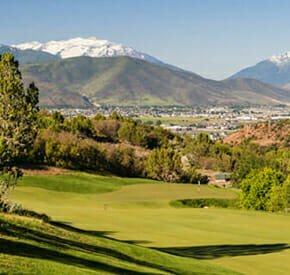 One driving force is that good conservation practices actually save money. Environmentally sound building techniques will be profitable for everyone involved-the builder, the purchaser and the community at large. Let’s examine two very successful new green home projects and get a better feel for what is involved. 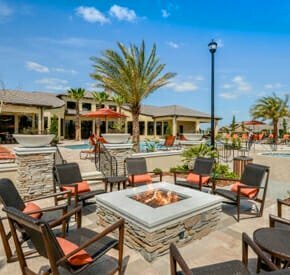 The first is located at Tradition Hilton Head, near Hilton Head, SC, which hosted the first HGTV “giveaway” green home. 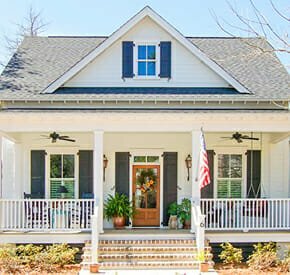 The second green home we will look at is located in Brunswick Forest, just outside Wilmington, NC, and was engineered for a zero net energy cost. 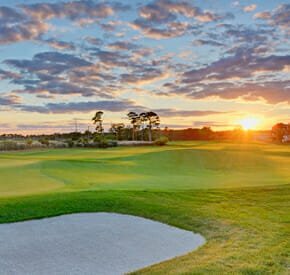 At Tradition Hilton Head , the HGTV Channel built and furnished a state-of-the-art green home, then ran a nationwide contest to give it away. 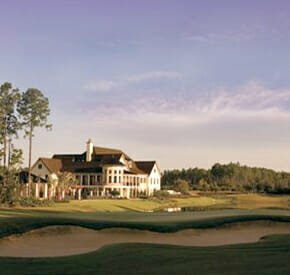 HGTV could have chosen any community in the country for their green home, but they selected Tradition Hilton Head because the community needed to be as green as the home-and Tradition has a reputation for its dedication to environmental conservation. The home that was built for the contest came in at just over 2,000 square feet and had a market value of approximately $850,000. Fully furnished, it featured three bedrooms with two-and-a-half baths, and employed construction and design elements that contribute to an energy-efficient, cleaner and healthier living environment. Nearly 10,000 people toured the home from March through May 18, 2008. Many thousands more entered the contest. One of the interesting features of Tradition is that their green home utilizes the community’s water treatment and re-use program. 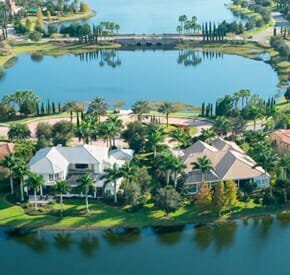 Here, treated reclaimed water irrigates not just the golf course but all the development’s common areas and even the land around individual homes. 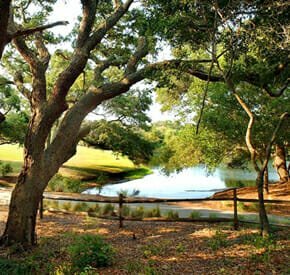 At Tradition Hilton Head, all of the plants and trees are native to the climate zone, easily adaptable to the soil and selected to be extremely drought-tolerant. The amount of precious water saved is significant. As anyone who has experienced a drought knows, conserving water in the home is equally important. According to the EPA, the average family of four uses 400 gallons of water a day, and most is wasted. Approximately 50% of this wasted water can be recycled and reused. At Tradition, another step in the right direction is the installation of low-flow plumbing fixtures. An interesting water conservation technology used at Tradition is the incorporation of air into the plumbing process. The result is a low-flow shower that feels just as high-pressure as a traditional one, or a toilet that uses air in place of an excessive amount of water. 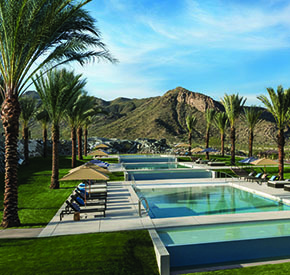 One of the essential ingredients in the success of the green home at Tradition is its environmentally friendly site or “footprint.” Once the proper location was chosen, the orientation of the house became critical in order to maximize natural sunlight for heat and light, as well as shade for cooling. 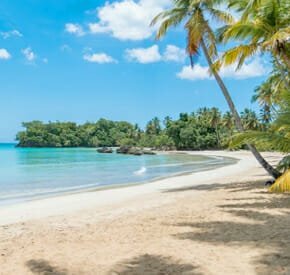 Thus, the home’s furnace and air-conditioning systems do not have to work as hard to maintain a comfortable environment. Constructing a “tight” home to prevent HVAC loss was another objective when building the Tradition green home. Air-tight houses are critical to energy efficiency, and with less outside air infiltrating the home, the indoor climate is much easier to control. On the flip side, an unwelcome result of this process is that indoor air becomes five times more polluted than the outdoor air. The Tradition green home incorporated fresh-air ventilation to exhaust the stale indoor air to the outside-a process that actually conserves energy. An important passive green choice that the builders made was selecting products that save lumber by using optimal value engineered (OVE) joists and beams that require minimal trimming. Green builders such as Tradition often recycle job-site waste and use it for mulch in newly planted yards. In this case, waste from the job site was even used to manufacture some of the furniture in the home. 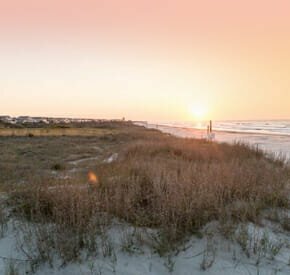 Our second green home is located in Brunswick Forest, just south of Wilmington, North Carolina . The Brunswick Forest Green Home was built to create zero net energy cost in a 3,000-square-foot, luxury custom home designed to look like a traditional house. The home was oriented on the site so as to maximize summer shade and winter sunshine, reducing the stress on the heating and air systems. Its design incorporates a number of passive environmentally friendly products like natural sisal carpeting, recycled building materials, Hardiplank deck flooring and Hardishake siding, airtight vinyl doors and windows, and low-flow plumbing fixtures. Additionally, the home uses modular construction techniques and was built offsite in six modules. It is interesting to note that modular construction almost entirely eliminates waste and can be erected in as little as six to eight weeks. But the real innovations came from the energy-saving sector. I had the opportunity to visit the home with Chris Polanski, project manager of Anchorage Building Corporation, the company that built the Brunswick Forest green home. With decades of green home building and almost 50 green homes built to date, Anchorage has learned how to keep costs down while building green. Beyond using sustainable materials, Chris explained that there are three essential elements at play in achieving the company’s goal of zero net energy costs. First is the use of solar panels to generate electricity. 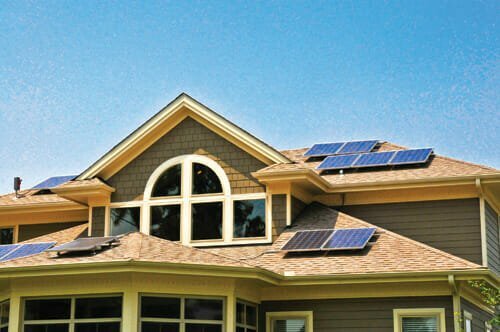 Solar panels convert sunlight to electricity and, depending on the amount of panels used, can provide up to 100% of the home’s energy. Another plus is the careful positioning of the house so that the orientation allows the sun to track across the south-facing roof for maximum sun exposure to the solar panels. Unfortunately, a frequent customer complaint is that solar panels are unsightly. To resolve this problem, a new generation of solar panels is expected to be available soon. They will resemble traditional shingles and will make a solar-paneled roof appear quite conventional. The second important modification is the use of modern insulation techniques. The Brunswick Forest Green Home is insulated by blowing Icynene open cell foam between the roof joists and ground floor joists to completely insulate the house top and bottom. This means that the heating and air conditioning systems don’t have to fight the high captured temperatures in the attic and the heat or cooling loss through the flooring. 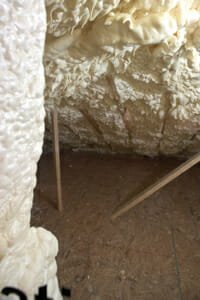 Conventional fiberglass batting insulation does a fairly good job when tucked into the spaces between the joists, but it never completely seals the area. Blown foam seals every crack and crevice and allows no air to escape or enter. This satisfies the essential requirement of having an airtight home. Sealants are then used in areas where the foam can’t reach, to totally seal the home from unwanted moisture. The third modification is a geothermal heat pump (GHP) which uses the earth’s relatively constant internal temperature (between 50 and 60 degrees Fahrenheit) to heat and cool the house. This is not new technology and has been around for decades. However, today’s modern equipment is of 21st-century design and works like a dream. Geothermal heat pumps are more expensive to install than conventional furnaces and air-conditioning equipment, but they are cost-free to operate after they are installed. At the Brunswick Forest house, well-drilling equipment was used to drill three small holes 200 feet deep into the earth. Pipes were inserted in each hole, then filled with water and connected to the geothermal heat pump equipment. During the heating cycle, the heat pump uses the earth loop to extract heat from the ground, remove heat from the loop and distribute it through a convention duct system as warm air to heat the house. In the cooling mode, the system air conditions the home by reversing the heating process. Instead of taking heat from the ground, heat is removed from the home and either sent back down the earth loop or used to preheat the water in the hot water tank. Once the heat is removed, the cooler air is distributed through the home’s duct system. Efficient, almost operationally cost-free, and with minimal maintenance, geothermal heat pumps may be the wave of the future. If a homeowner employed only these three modifications, the initial cost of the equipment required is advertised to be between 10-15% more than a conventional system. To offset some of these costs, there are federal tax benefits and energy company rebates available for people who purchase and use energy–saving systems. After a few years, the payback is that a person can live in a zero energy cost home and do his/her share to protect the environment. Today, we live in a world where a population explosion, the competition of emerging Third-World economies and wasteful consumption are rapidly depleting our natural resources. 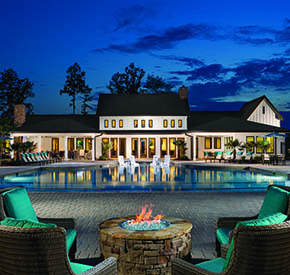 From a home’s physical orientation to solar panels, state-of-the-art construction techniques, high-efficiency geothermal heat pumps, and advanced insulation and sealant materials, green homes like those in Brunswick Forest and Tradition Hilton Head epitomize comfort, efficiency and environmental sensitivity.